Palladium jewelry – new palladium bracelets featured on Kitten Lounge. Read more of “Mingling Mondays: Sponsored Post ~ Novell Design Studio” on Kitten Lounge. See Novell’s collection of palladium bracelets. 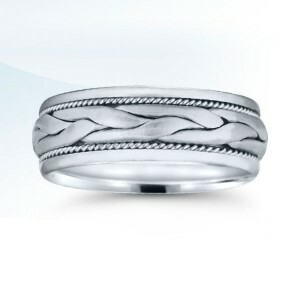 Classic Novell wedding bands featured on new wedding website. 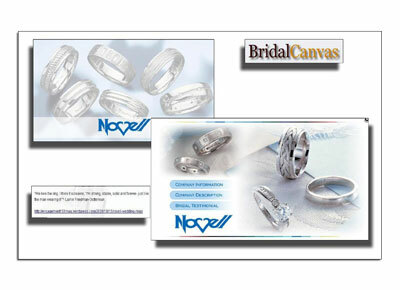 BridalCanvas.com, a new and innovative online wedding portal, is currently featuring a variety of Novell wedding bands, company information and a testimonial from a new bride who recently purchased a Novell palladium wedding band for her husband. The website’s unique visual applications are expected to be utilized by an estimated 150,000 future brides per quarter. 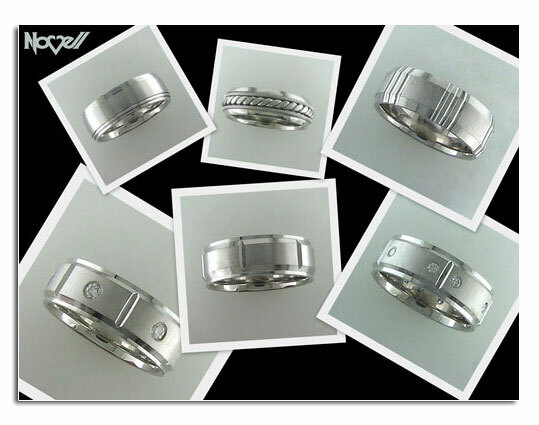 New wedding website features classic wedding bands by Novell. 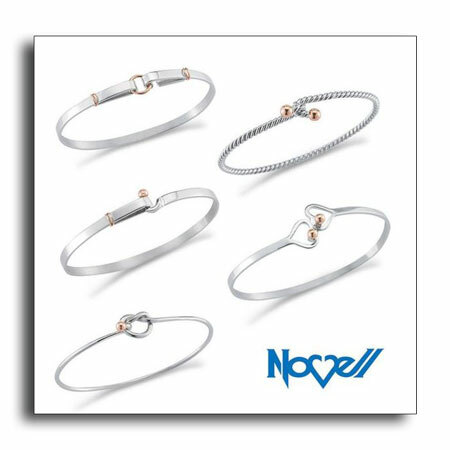 Novell wedding bands can be made wider, narrower, in different metals and more. Download this classic wedding band article. 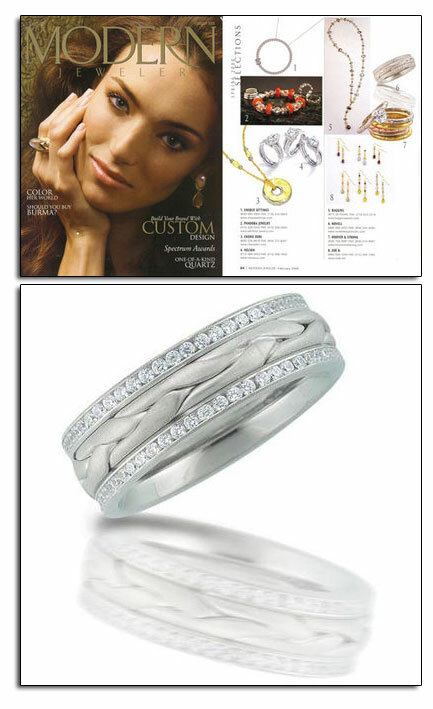 Palladium wedding band featured in Grace Ormonde Wedding Style. The 2009 issue of Grace Ormonde Wedding Style magazine featured Novell palladium wedding band style L1105-7GCC (with 6 x 0.14 princess cut diamonds). Other brands in the layout include Louis Vuitton, Storm, Porsche Design, and Apple. Palladium wedding band with diamonds as featured in Grace Ormond Weddings. Groom chooses palladium for his wedding band choice. Wedding announcement from NYTimes.com (published on October 3, 2008) – Lainie Michele Friedman is to be married Sunday to Scott Gutterman at the Crystal Plaza, a caterer in Livingston, N.J. Rabbi Philip Goldberg is to officiate. 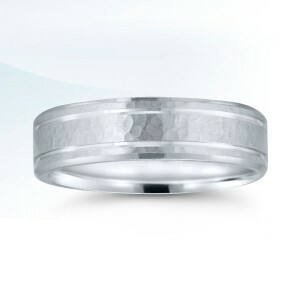 The groom chose a palladium wedding ring from Novell. 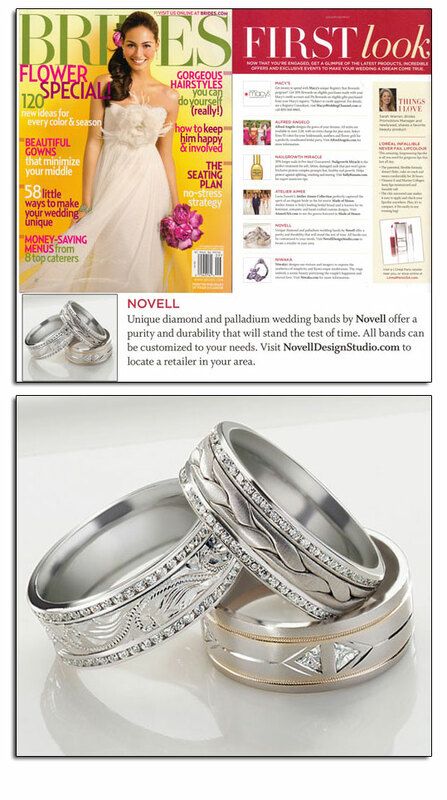 Novell wedding bands featured on blog for palladium. 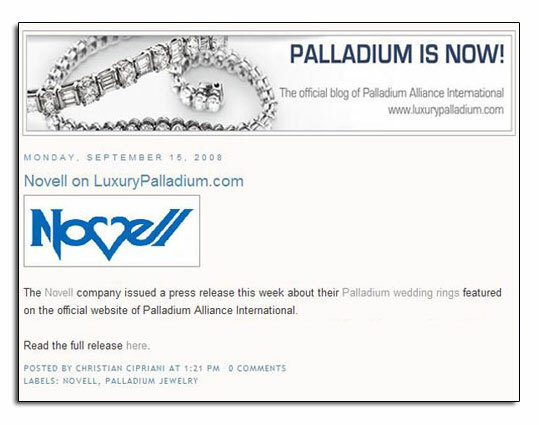 LuxuryPalladium.Blogspot.com ,the blog for Palladium Alliance International, has recently reported news about Novell’s press release – “New Palladium Wedding Rings on LuxuryPalladium.com.” The press release highlights the selection of Novell’s palladium wedding rings included on PAI’s newly redesigned website, and has been featured on TransWorldNews.com and in Google News. Palladium wedding bands as featured on a blog about palladium. 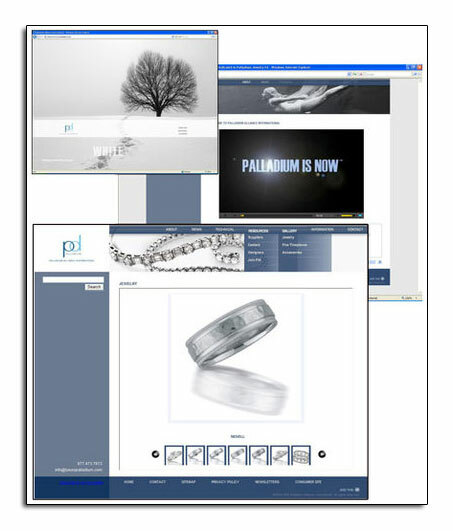 Palladium Alliance International really stepped up palladium’s overall visibility in a variety of ways – product placement (as seen in the movie Iron Man), a broader advertising campaign, public relations, and now a website redesign and re-launch. 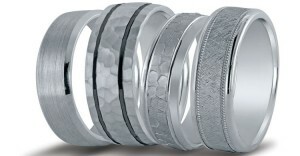 Novell has been offering palladium as an option for our wedding bands for over three years now, and there still is a lot of confusion for both consumers and retailers. In fact, some Novell retailers seem reluctant to touch palladium regardless of the metal’s price point and benefits. Hopefully, PAI’s more visible initiatives will be the missing ingredient to help properly educate and pique the public’s interest. The new website, www.luxurypalladium.com, featured Novell palladium styles L8048-6GC, L8050-6GC, L8051-6GC and L8055-6GC. Palladium Alliance International (PAI) announces the launch of its redesigned trade website, www.luxurypalladium.com. The site provides visitors with fresh content such as downloadable bench manuals and videos for those working in Palladium – The Now Metal™. The new web portal, whose re-launch kicks off an education-focused phase of PAI’s marketing program, raises the bar for online jewelry marketing with the kind of high-end design and interactivity today’s savvy internet users demand. The new website includes text-search capabilities, intuitive navigation, multimedia content, new product galleries, community forums, compatibility with various browsers and mobile devices, and a host of new Web 2.0 technologies. 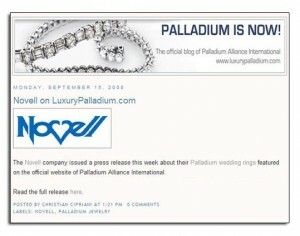 PAI’s new blog located at luxurypalladium.blogspot.com and Facebook fan page – called Palladium is Now! – are further connecting a whole new generation of fine jewelry lovers with the metal of choice for the 21st Century. Users who sign up online for their free membership receive PAI’s White Light newsletter, promotional offers, automatic enrollment in exclusive contests, new retail training modules by Performance Concepts, and interest-focused PAI announcements. From trade events to technical updates, stay connected to Palladium on your own terms with PAI’s new personalized communications platform. 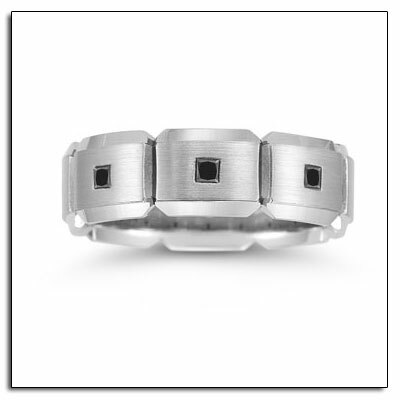 Log on today and learn why Palladium is the metal of choice for fine jewelry and watches. Whether you’re building in Palladium or offering it to your customers, PAI has the world’s best educational and promotional materials for this white, light, natural precious metal. 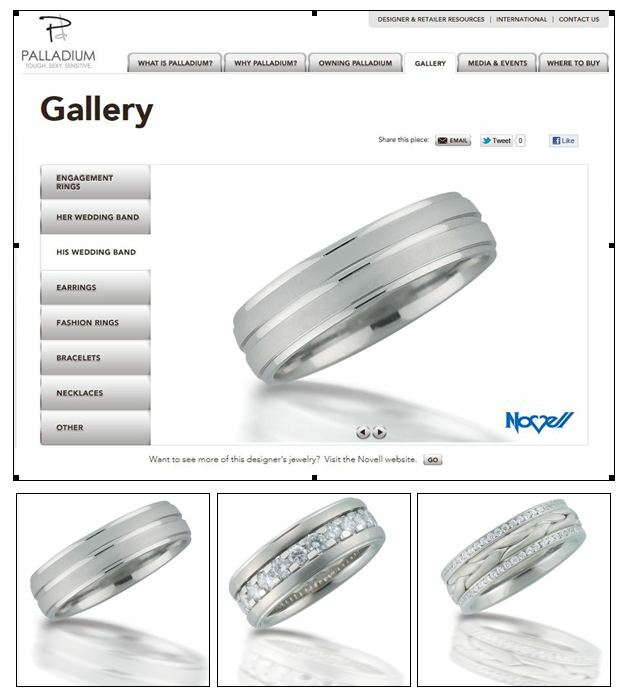 Novell was featured on a new website for palladium jewelry. 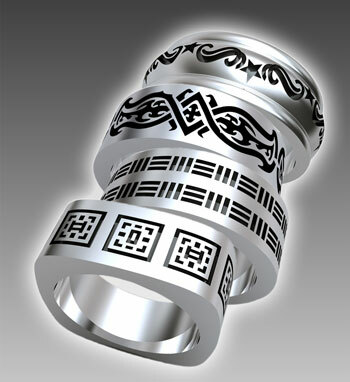 Palladium wedding bands featured in Wedding Dresses. 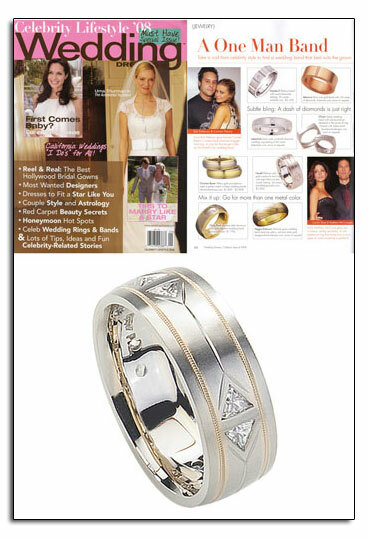 The Celebrity Lifestyle issue of Wedding Dresses featured Novell palladium and 18kt gold wedding band style L1101-8GCC (8 x 0.07 trillion cut diamonds). 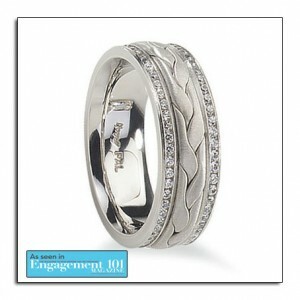 Palladium wedding band as featured in Wedding Dresses. 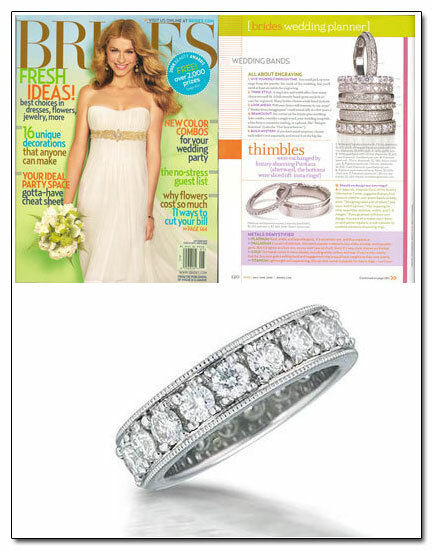 Palladium wedding bands featured in Brides. 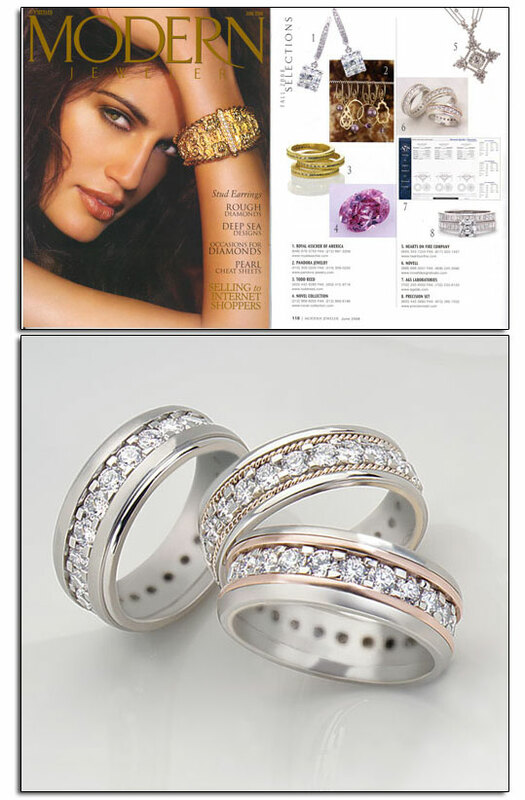 The September/October 2008 issue of Brides magazine featured Novell palladium wedding bands L1111-8GCC, L1110-7GCC and L1101-8GCC. 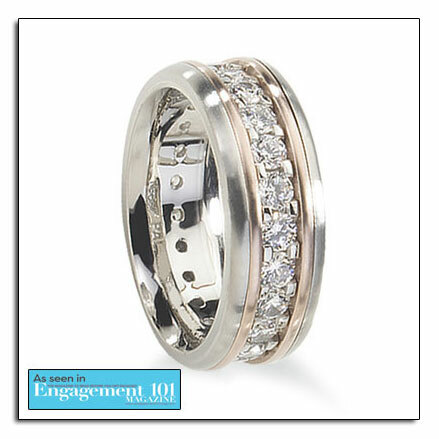 Palladium wedding bands as featured in Brides. 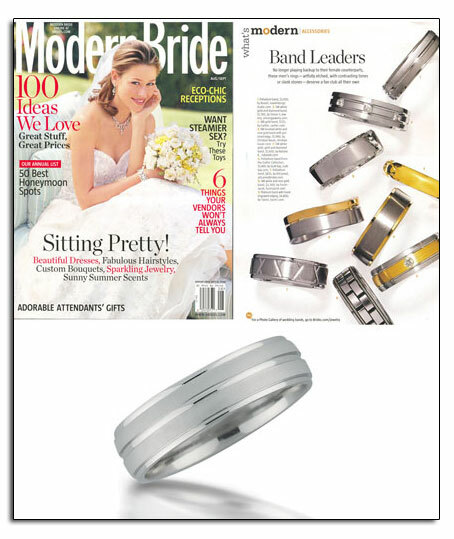 Palladium wedding band in Modern Bride. 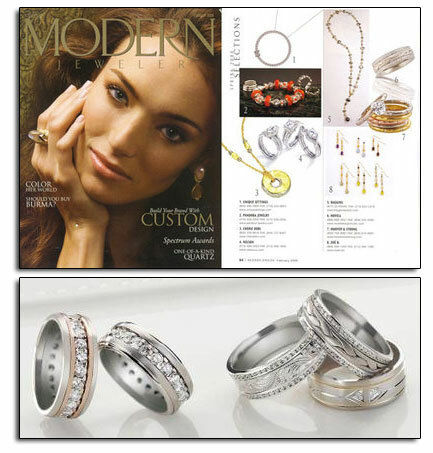 The August/September 2008 issue of Modern Bride magazine featured Novell palladium wedding band style L8055-6GC (on page 110). Artcarved, Tacori, Scott Kay and Simon G are some of the other notable wedding band brands included in the What’s Modern – Band Leaders article. 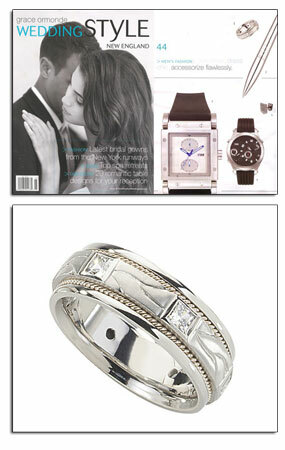 Palladium wedding band as featured in Modern Bride. Palladium engraved wedding band in JQ. L1111-8GCC (108 x 0.01 round diamonds) on page 47. Download the JQ Magazine palladium wedding band feature. 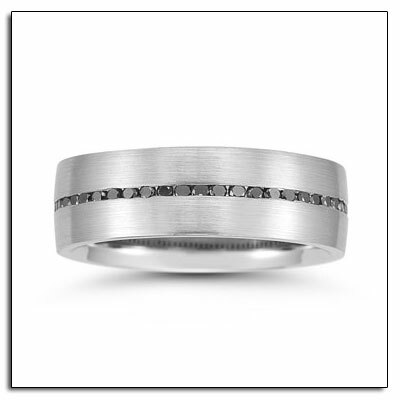 Engraved palladium wedding band with diamonds as featured in JQ. Bruce Pucciarello talks about palladium in JQ. 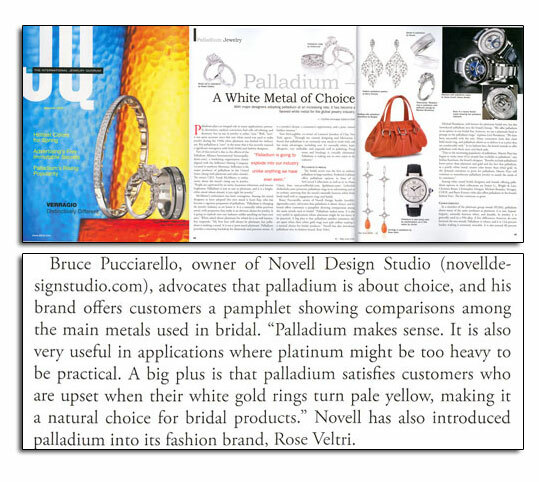 The May/June 2008 issue of JQ Magazine featured a quote about palladium from Novell owner Bruce Pucciarello (on page 46). Download the entire JQ Magazine magazine feature. 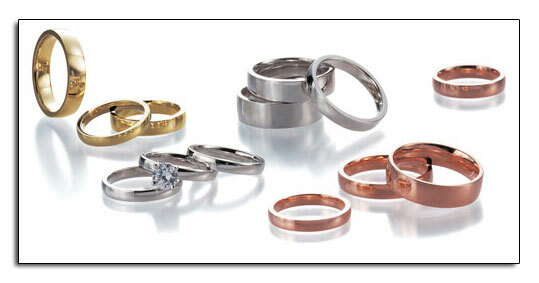 Need help with choosing the right metal for your wedding band? 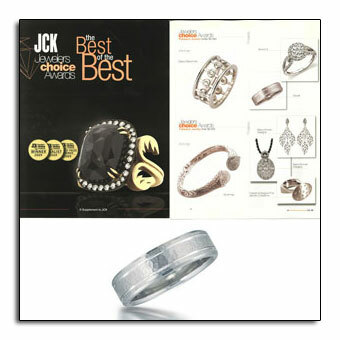 View the “Choosing The Right Metal” video brochure. Or download the “Choosing The Right Metal” brochure. Palladium wedding band in Brides. 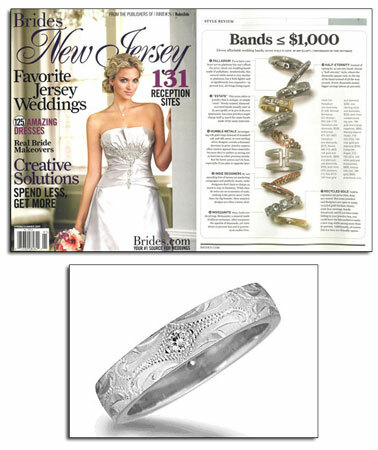 The May/June 2008 issue of Brides featured Novell palladium wedding band PL2357-LC in the “Bride’s Wedding Planner” section (on page 120). This wedding band style has 18 x .10 round diamonds around the ring. 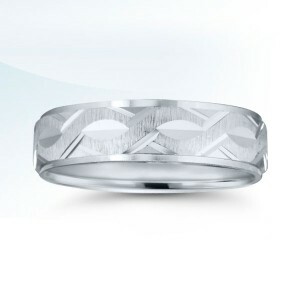 Download the palladium wedding band feature. Palladium wedding band with diamonds. 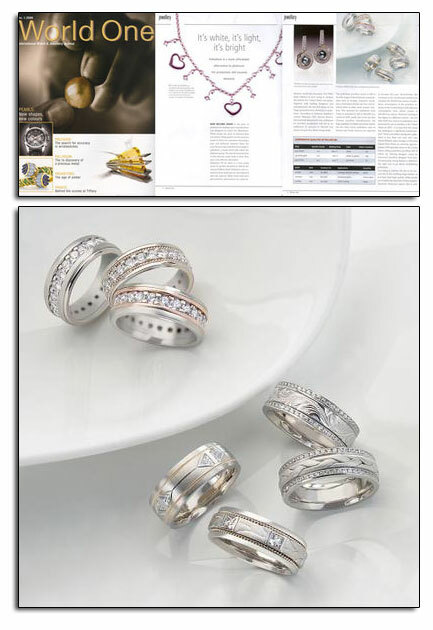 Palladium wedding bands in World One’s article. 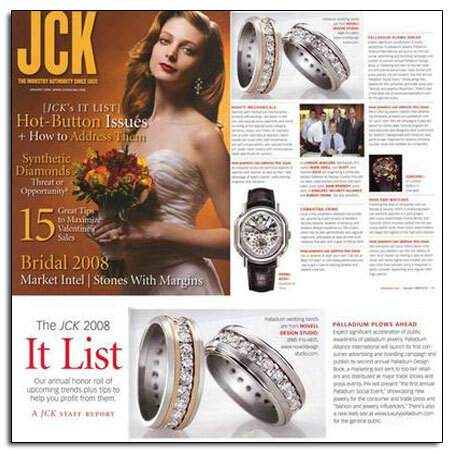 The January 2008 edition of World One: International Watch & Jewelry Journal featured palladium wedding bands in the article “It’s White, It’s Light, It’s Bright” (on page 32). 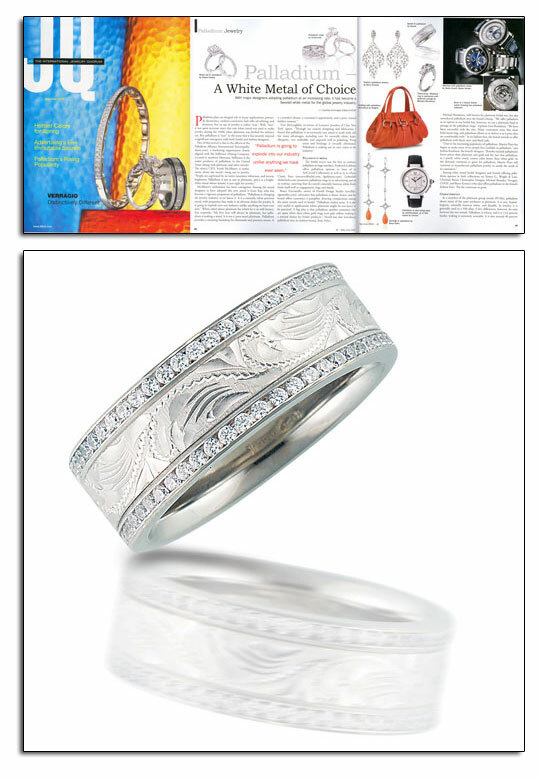 Download the World One palladium wedding band editorial feature. Palladium wedding bands featured in World One article about palladium.